Built in 1791 by William Taylor to replace the theatre burnt down in 1789 during evening rehearsals. The first public performance was in 1793 and the theatre was then the largest in England. 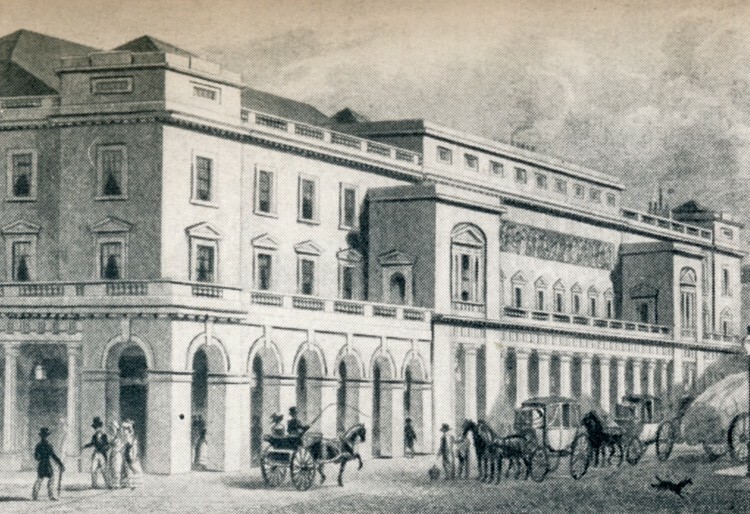 The theatre was renamed Her Majesty’s in 1837 when Victoria came to the throne. From The Face of London by Howard Clunn.